What to buy, a brand new piano or a second hand piano? 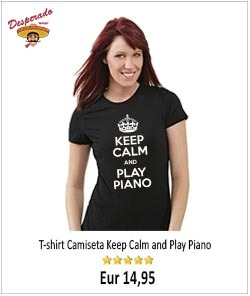 This is the question so many people ask themselves once they have decided to buy a piano. What are the advantages and disadvantages, what is best? This article will try to dispel your doubts and help you to buy successfully. Look at the local papers on the “Musical instrument” sections, also at the online second-hand items sites like eBay, and of course at piano retailers and music stores. 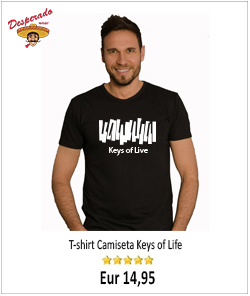 These stores usually have an array of used pianos which of course they are eager to sell. 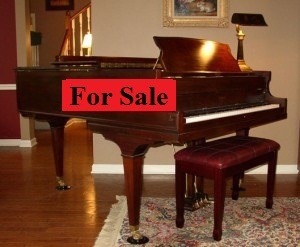 Some of these pianos can be in excellent condition and could represent an excelent buy. An important bonus to buy from a dealer is that they normally will offer you a guarantee, so in case there is something wrong with the piano, you know where to call. Other advantage is that they will transport the piano to your house for free, and will also offer you a free piano tuning (If they don’t offer a free tuning, don’t be shy ask for it, sure they will agree). All important things to have into consideration. When evaluating a piano one of the most important things is to know how old is the piano. Whoever reads this blog regularly will know that the one who subscribes dislikes the very old pianos. Pianos over one hundred years have in general so many problems and are so expensive to restore that unless you are an antique lover or a do-it-yourself enthusiast, they should better be discarded. Strictly personal opinion, of course. Preferably not too old. If you decide to buy second hand, the age limit should be no more than 30 or 40 years. A piano made in the 70’s or 80’s, if it has a careful owner and was regularly maintained, can be a good investment and still give you many years of trouble free enjoyment. 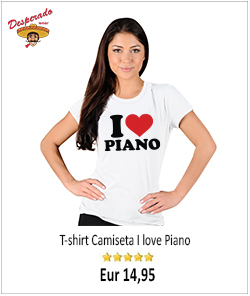 Obviously it is better if the piano is only 10 or 20 years old, but the price undoubtedly would also be higher. What is the best piano to buy? Well, that depends on each one.For general home use and an intermediate level of playing, I would go for one of the midrange well known makers with proven good value for money, something like a Yamaha or Kaway with no more than 20 or 30 years. Very good opportunities can be found in that bracket. How to know the exact age of a piano? All pianos have a serial number. If you know the piano brand name and the serial number, then is easy to know the age of the piano. Click here to know how old is your piano, or any other piano you might be interested. I will transmit you the information I have, for free. Take advantage of this offer while it lasts, probably not for long!! Where to find the serial number? Where can I find the serial number? At the uprights, the serial number is located generally at the plate, up on the right (sometimes on the left or even at the center), you can see it easily by opening the front or upper lid. Serial numbers can also be located at the back of the piano, or somewhere at the action, sometimes at the soundboard.In grands, serial numbers are generally located also somewhere at the plate, but can also be stamped either at the soundboard or at the key frame. Look for a number around five to eight digits, sometimes accompanied by one or two words. Take a good overview, what it looks like? The general appearance of the piano says much about the condition of the insides. A piano that has been neglected, with scratches, bumps and so on, probably has the action also in the same state. On the contrary, a perfectly lacquered piano, free of bumps and scratches, clean and bright, denotes a careful owner, that in the same way has been careful (not always) to tune and service the piano regularly. If it is an upright that you are looking at, move the piano a bit from the wall and examine carefully the soundboard. Make sure there are not cracks and the ribs are solidly glued in place. The soundboard should be perfect, if that is not the case, bad news. This is an indication that other things could also be in poorly condition, so be careful with that piano. In grands, you will have to stoop to look under. The same that has been said for uprights is applicable to grands. The keyboard, examine it carefully. A perfect keyboard with all the keys well balance at the same height and with no irregular gaps between them is a very good sign. Sometimes keys (specially at the extremes of the keyboard) are burnt, as some piano players have the wicked habit of placing their cigarette butts right on top of those keys. Ohh!! Now play every key up and down the keyboard, looking for sluggish action problems, broken keys and general action faults, like double striking or hammer blocking. If you don’t detect any of those things, then the piano action is in good condition. If on the contrary, you noticed one or more of the faults mentioned before, then you can assume that the piano has have a good deal of wear and tear, and most likely needs regulation and replacement parts. In this third step, you will use your nose, or better said, your sense of smell. Remove the front panel and open the top lid (we are talking uprights), lets “take a smell inside”. If it smells musty, bad news again. I personally wouldn’t go any further and leave the piano right there. Why? Because is most likely that the dampness has affected the action parts, like hammers, felts, wood, and so on. Dampness, in case you don’t know, is the piano’s number one public enemy (second one is excessive dryness), it’s effect on the piano is highly damaging and very difficult to mend once the damage has already been done. Remove the front panel and take a good look at the action (if it is a grand, you will have to remove the action from the piano) The overall look of the action parts like backchecks, hammers, dampers etcetera, should be tidy and even. Take a good look at the backchecks and see if they are all level and more or less at the same distance. If that is the case, good, very good sign, as that give us an indication that the piano is in good shape. Now we will look at the hammers. The hammers, as the tires in the cars can reveal much about the piano. Are they worn out? In that case you can estimate that the piano has had a long run, again bad news, as that is telling you that other elements of the action must be equally worn. Once here, also take a look at the dampers. However, if the hammers are still round at the striking point (the part of the hammer head that strikes the string) without deep grooves, and still retain its original shape, then good news. If in contrast with the rest of the piano parts, the hammers look too new, then it could well be that the piano has had a new hammer set recently installed! Take an overall look at the hammers with their shanks. Same thing as we said for the keyboard applies here. A piano in good condition should have the whole hammer section properly aligned with all the hammers at the same height and at the same distance from each other. Now, play the piano at the middle and middle upper part (which is usually the most worn) and see the hammer travel, making sure that every hammer strikes neatly its set of strings. Double striking, wobbling and/or sluggish key action, hammer blocking (when a hammer doesn’t bounce back and gets block against the string), crooked and/or misplaced hammers, warped hammer shanks……etcetera, are simply not welcome! In this sixth step we will be looking at the pins and strings. Same as the hammers, the state of strings and pins can tell you much about the condition of the piano. The strings and pins should be clean and bright without any sign of rust. Make sure there are not missing strings, specially the bass ones (quite difficult to obtain in case they are not there) A good second hand piano should always have its set of strings and pins well polish and in excellent condition. Finally, play the piano. Is on pitch and reasonably in tuned? How does it feel? This is a personal and quite subjective matter that varies from one person to another, but the important thing is to feel comfortable with the instrument that you are playing. Ideally, the touch of the piano should be not too soft, not too hard, with a pleasant feel and a proper dynamic response. If the piano bears any of those major faults mentioned before, unless the piano is one of the major brands, like C. Bechstein, Bösendorfer, Steinway, Blüthner, Mason & Hamlin and the likes, then the best thing to do is to refrain from buying and look elsewhere. Why is that? Because nowadays, the cost of piano restoration is so high that in general is not worth it. these seven steps guide will give you a good idea of what you are buying and will let you evaluate the condition of any piano. At least it will prevent you from getting it miserably wrong and making a serious mistake. Don’t be taken for a ride and buy the right piano at the right price and in the best possible condition, that’s the goal. If not too sure about a piano and a fair amount of money is involve, I highly recommend you to use the services of a pro technician who examine the piano in depth and advise you. By the way, if you do so, and decide to buy the piano from a retailer, make sure the piano tuner (that supposedly will advise you) doesn’t work also for that same dealer. Just in case….!! I would like to buy a secondhand piano, but will send my friend , who is a piano tuner to look at it before I buy. That is a very sensible thing to do. A second hand piano should always be check thoroughly by a technician before buying. Good luck with your piano. How much money can make a piano tuner, is it profitable? Want to know how old is your piano? Need a free advice?